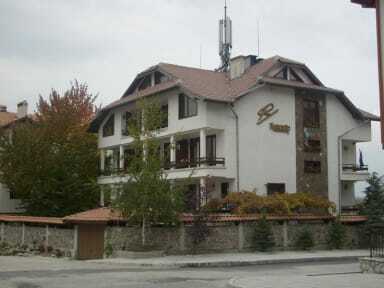 In quiet, cosy and comfortable place, south west part in Bansko town, with excellent panoramic view to the mountain. Situated by Gondola lift and 10 minutes walk to the centre of the town. Bansko town - the door to the Pirin mountain (2914 m.). One of the new winter resorts located south west part in Bulgaria. Winter: splendid sports conditions, the snow exists 5 months. Summer: walking tours in old pine forests to the dozen of lakes, to the mountain peaks. Capacity:34 beds /max 39/ in 4 double rooms, 2 twin rooms, 4 triple rooms, 2 mansard two rooms apartments/4 persons/. All have bath, WC, balcony, cable TV. Meals: Buffet breakfast. Dinner - with choice of the menu (also with traditional cuisine). Christmas and New Year gala dinner. 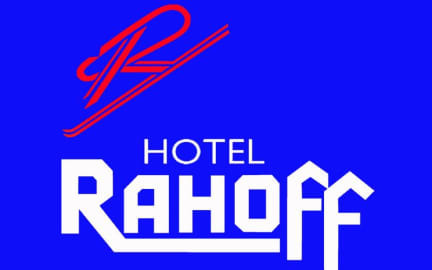 Facilities:Restaurant-tavern, lounge, lobby bar with open fire, TV, dining room, large sun terrace with wonderful view. Jacuzzi, massage, sauna, fitness , billiard, tennis table, darts, games area, garden with BBQ, laundry, outdoor parking.Services:Transfers, transportation, excursions, picnics, ski instructor, mountain guide, horseback riding, biking, fishing, golf and more. Rent a bike /hotel guests - free/. Check and check out times can be flexible depending on the availability of the rooms.